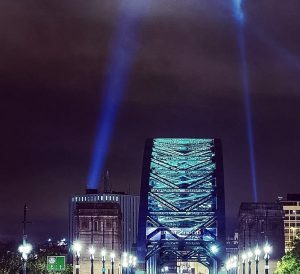 This collaboration between NE1 and Northumbria University will use large digital screens in the city centre to showcase international urban research projects being carried out in the University. The displays are planned each September to coincide with the welcoming of new international students from around the world to the city. Each research project will be introduced by an international student of the University from the country in question to highlight the deep international links with other cities and countries that the University is building.